Growing up in Hawaii, I dreamed of becoming an ecologist at Lake Baikal in Russia or an archaeologist in Tanzania. I had maps of Africa on my bedroom wall, and I always expected I’d someday venture to the places pictured in them. But because, as an undergraduate, I chose to major in English instead of biology I began to consider myself a failed scientist. Recently, I found out that, in fact, I am something better — a “citizen scientist.” I spent years tromping through Hawaii forests, eradicating invasive weeds; propagating endangered Hawaiian plants in a laboratory; and observing nectar-gathering habits of bees, yet until this year, I had no idea what the hell a citizen scientist was. Broadly defined, citizen science is the involvement of non-scientists, or amateurs, in scientific activities. Culture critic Akiko Busch places the origin of the term “citizen science” in 1995, and one American Library Association publication makes the claim that citizen science began with the very first Christmas bird count in 1900. However recent its name, I would place the true origins of citizen science squarely in my favorite century: the eighteenth. The many awesome things the eighteenth century has blessed us with aren’t limited to the dictionary and Jane Austen. 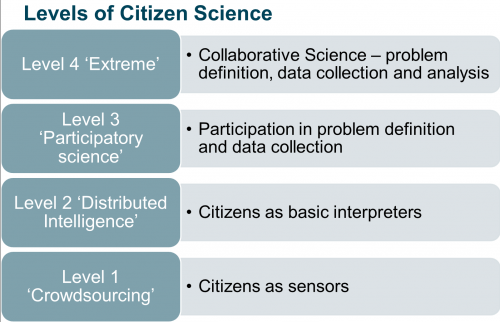 Much of what we now consider citizen science began to emerge from darkness then. Each of these factors underwent substantial change in the 1700s; by late in the century, much was possible that hadn’t been before. Rebecca Solnit, in her book Wanderlust, states that the “golden age of walking” began in the late eighteenth century (and ended around the turn of the twentieth when we set out on the slow journey to hell in our cars). The change came about due to an improvement in roads and a corresponding shift in attitude toward walking. The practice of walking is essential to most observation of nature (if I didn’t walk in or around the woods, my own bird, moth, and plant identifications would be cut by at least seventy-five percent), and a wider acceptance of walking meant more time spent in nature, away from civilized gardens and towns. Even more important than walking in the growth of citizen science was communication both by publication and by personal correspondence or conversation. As David Elliston Allen noted in his book, The Naturalist in Britain: A Social History, eighteenth-century post was only slightly more reliable than throwing a bottled message into the ocean. Yet there was no other way to communicate with distant fellow naturalists or scientists. Therefore, the post was the means by which ideas and information were shared. In contrast, in this century, with its refined methods of communication, Andrew Fire and Craig Mello, winners of the 2006 Nobel Prize in Physiology or Medicine, were able to collaborate on RNA interference research despite living on opposite coasts of the U.S.! As the post became more reliable (with the improvement of travel in general beginning in the mid-eighteenth century), science, too, expanded its boundaries and possibilities. One of my favorite scientists, René Réaumur, president of the French Académie des Sciences, was noted for many contributions (studies of insect behavior, properties of metals, and limb regeneration in crayfish), but I love him for his contribution to communication in science. Réaumur was innovative in his time because he mailed specimens to others so they might know a species by more than someone else’s description. He was also known for his extensive correspondence with other scientists, even those who weren’t stars in their field. While Réaumur was busy mentoring budding young scientists by corresponding with them and sharing specimens with them, in Sweden, Carl Linnaeus was busy developing two ideas that would democratize the study of plants. First, he created a system of binomial nomenclature (e.g. Homo sapiens) that would make plant identification accessible to almost anyone who could read. The Linnaean system of nomenclature was adopted internationally, thus creating standardized names, which facilitated communication and increased accuracy. Before the publication of Linnaeus’s Systema naturae in 1735, a given species might have had a dozen or more names. (Amelanchier alnifolia has at least twelve common names, including saskatoon, Pacific serviceberry, and juneberry, which could lead to all sorts of confusion, but if you say Amelanchier alnifolia, people will know exactly which plant you mean.) Linnaeus’s system made it easier for people in different parts of the world — or even the same country — to communicate about plants. We still use this nomenclature system today for all species, animal and plant. Second, Linnaeus developed a plant classification system that used the number of floral parts (the reproductive organs of plants) to group species, thus making it much easier to identify plants in the field. If a flower had five petals or stamens, it would likely be in the buttercup family, and not in the lily family, for example. While Linnaeus’s sexual system of classification isn’t adhered to today, some of the principles behind it, like counting floral parts, are still useful in identification. My flower guide is broken down by flower parts and then by color, making it extremely simple to use. Linnaeus, from the start, had an egalitarian philosophy of botany. One of his intentions in creating his sexual system of classification was to make botany not only accessible but also affordable. Instead of needing expensive books with copper engravings, you only needed his plant manual with its ease of use and detailed descriptions. By democratizing botany, he helped build the foundation for citizen science. Though it was a technological wasteland compared with our century, the eighteenth century was in some ways far more conducive to “amateurs” delving into the sciences. In fact, the designation “scientist” didn’t really exist until the nineteenth century. What we now call “science” was then known as “natural philosophy,” a term with drastically different connotations. Almost anyone could be a scientist because science was less specialized and less technical three hundred years ago, making it more accessible. One of the results of this kind of accessibility is that people like me — inclined toward writing and art — could be a part of the scientific community and scientific thinking. London is a good case study of how people who today wouldn’t consider themselves “scientists” mingled intellectually and socially with people who would, thus creating a different type of environment for the exchange of ideas. In his book Daily Life in Johnson’s London, Richard B. Schwartz notes that the intellectual community in London was quite small and close-knit, much different from the vast and compartmentalized nature of many academic fields today, meaning that people from different professions had little choice but to run into one another and to associate socially. The Royal Society, a science society, admitted painters and writers to its ranks. You could say this was due to a system of favors and that it had nothing to do with artists contributing to a scientific organization, but then you’d be faced with The Club, a group that met to dine and discuss issues of the day — including science. Members ranged across a wide spectrum of professions, artistic and scientific. Founded in 1764 by painter Joshua Reynolds, its original members included the writer of the Dictionary, Samuel Johnson; MP Charles Fox; noted naturalist Joseph Banks; and others, all legitimate contributors to the intellectual scene, which drew few, if any, lines between the sciences and the arts. The Club allowed people in widely diverse fields to contribute to discussion, bringing their particular way of thinking to problems humanistic and scientific alike. This kind of climate facilitated conversation between scientists and non-scientists, conversation that is making something of a comeback in a new form: online participation by someone like me in scientific projects. In a sense, we’ve come full circle with regard to citizen science. Science used to be egalitarian because it wasn’t specialized, and now it is again — in a different way. 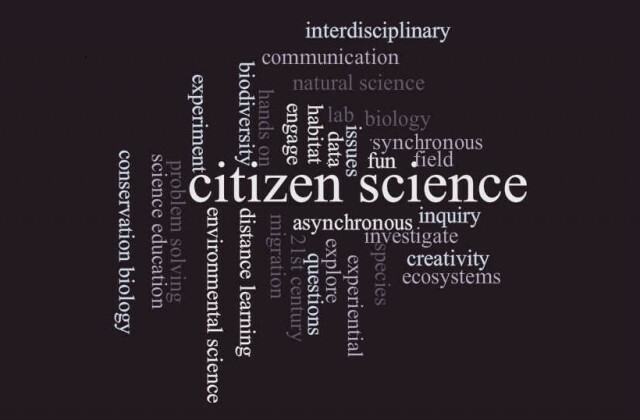 Contemporary citizen science is a blossoming field because of the internet and advances in technology. Today, the primary obstacles to non-scientists participating in research are specialization and availability of equipment; but advanced training and specialized equipment aren’t needed for every task, and there simply aren’t enough scientists to do all that needs to be done. With citizen participation, willing individuals can serve as data collection foci that extend the reach of scientists who don’t have enough grad students to conduct sampling everywhere at once. 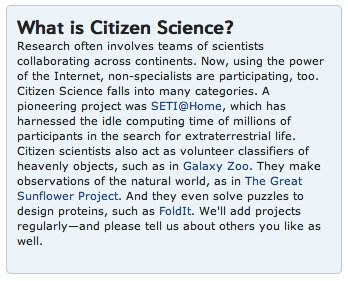 Current citizen science projects are numerous and can be found at zooniverse.com or at many local nonprofits. Just last month, the Smithsonian announced that it would enlist the help of citizen scientists to examine and transcribe its enormous collection of digital images of plant labels, letters, and other historic and scientific material, work impossible with the museum’s limited staff. In some cases, citizen scientists do more than legwork; they make significant contributions, as with the recent discovery of interstellar dust. Using his home computer, volunteer Bruce Hudson, identified the first particles among the 1.6 million images of the dust collection tray on NASA’s Stardust mission. NASA also recently used amateur astronomers’ photographs to supplement information provided by giant telescopes. The result: more in-depth images of four galaxies. As always in “professional” science, resources like time at an observatory are limited. By integrating the work done by citizens, scientists can flesh out and supplement their own data. NASA is going further by providing an open source program to aid in finding exoplanets (outside our solar system) with home telescopes and computers, making it easier for amateur astronomers to participate in research. What all these citizen scientists share with their eighteenth century forbears is the spirit of inquiry and the willingness to do detailed, attentive work. 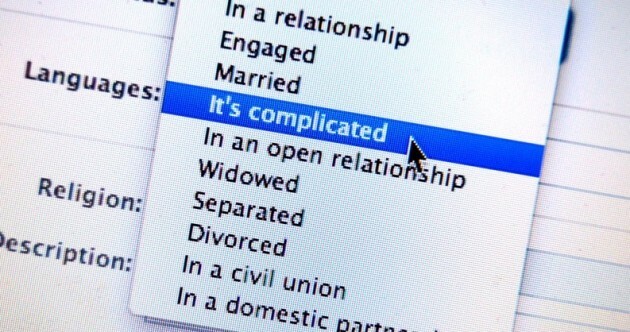 It doesn’t matter that they might do something completely unrelated for a living. 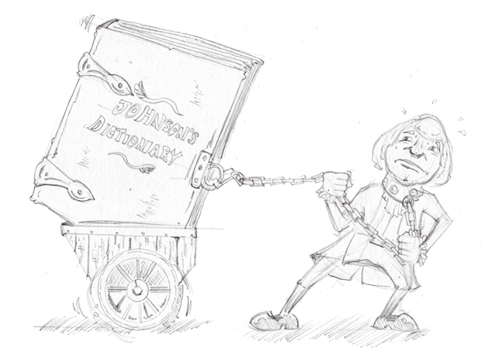 Even scientists like Carl Linnaeus and René Réaumur weren’t averse to exploring outside their primary discipline. Both of them, though primarily biologists, did research into mines and metals, for instance. That polymath spirit gives me hope, and I believe the diversity of their interests made them more innovative thinkers. It’s useful to look at the eighteenth century when we talk about citizen science because involving people from other disciplines enriches the sciences in the same way that I, as a writer, am enriched by my love of science. That eighteenth century propensity to have artists, scientists, and politicians at the same table meant that imagination and fact could spur one another on. Maybe I say these things because I cling to the notion that I can somehow make a valuable contribution to science. Other writers before me have done it. Thoreau kept such detailed observations of flowering times that his journals have become a source of climate data, and we now know spring comes a month earlier in Concord, Massachusetts, than it used to. Beatrix Potter drew fungi so accurately that her pictures can still be used for identification. She spent hours at her microscope, observing spores, and suggested the idea that lichens might be a symbiotic form containing algae and fungi. She was scorned. The relationship was verified decades later, proving Potter correct. And let’s not forget Nabokov, who has been called the most famous lepidopterist in the world. His somewhat obscure work on classification of blues (a type of butterfly) has now been proven correct. As for me, I’m drawn to the idea of extending our climate data record. Thoreau was my first idol, and now I can continue his work by helping to transcribe ship logs, which are the most detailed record we have of weather patterns of the past. Records from the Royal Navy’s nineteenth and early twentieth century logs have already been transcribed, and now The Old Weather Project has moved on to U.S. ship logs from the same period. There is poetry to the concise and purposeful language of the records. Reading them, I have one foot in the last century, one foot in the next, as we seek to understand how climate is changing. Citizen science is a way in which we can keep company with the dearly departed, Thoreau alive again, immortalized in flowers, pointing out the latest blooms. It is a way in which I can live out two dreams: that of being a scientist and that of leading an adventurous seafaring existence, acts of imagination and fact colliding beautifully.